To create a desktop shortcut for Program-Files and Program-Files(x86) in Windows 8 or 8.1! Please press the Windows 8 Shortcut [Windows + D] to see the Windows Desktop. The name "Program-Files" is automatically assigned [see Image-1 Arrow-3]. You've got a very quick access to the program-files folder of Windows-8. (Image-1) Create Windows 8 / 8.1 desktop shortcut for Program-Files and Program-Files(x86)! Windows-8 - FAQ-89: Create Windows 8 / 8.1 desktop shortcut for Program-Files and Program-Files(x86)! Create program shortcut in windows 8.1? Windows 8.1 make a shortcut to program? Windows 8.1 desktop shortcuts to programs? Windows 8.1 save files in program files (x86)? Windows programs x86 shortcut %? X86 shortcuts in windows 2012? Windows 8.1 Program Files X86? How to create programs folder shortcut windows 8? Windows 8.1 where are my programs desktop? Creating desktop shortcuts windows 8.1? How to move a program to the desktop in windows 8.1? How do i create a short cut on the desktop for files using 8.1? Save files to program files x86 how? Create a program how to send link in windows 8? Program files shortcut windows 8? Create program shortcut windows 8.1? Windows 8 desktop quick links for files? How to put programs on desktop windows 8.1? How to create a desktop shortcut to my documents in win 8.1? Make shortcut of files windows 8? Program files list windows 8.1? WINDOWS 8.1 access program files? How do you find program files x86 on windows 8? How to made shortcut programme files in window 8.1? How to create a link to a file in Windows 8.1? How to save programs to my desktop on windows 8? How to run as administrator for program files (x86) windows 8? Win 8 how to show program files on desktop? Windows 8.1 Program Files (x86)? Program files on windows 8.1 shortcut? Windows 8.1 program files desktop? Create a Folder for Desktop Windows 8.1? Create a Desktop link to my documents windows 8? Windows 8 desktop shortcut windows 8.1? Windows 8.1 creat a tile to run prgram on desk top? Windows 8.1 desktop program files? Windows 8 desktop shortcuts to programs? Where are program files windows 8.1? Create short cut for documents in window 8? How to get to program files in windows 8.1? Where is program files is windows 8.1? Windows 8.1 program files link? Shortcut to run filehistory windows 8? Create a shortcut of a program in the desktopt in windows 8.1? 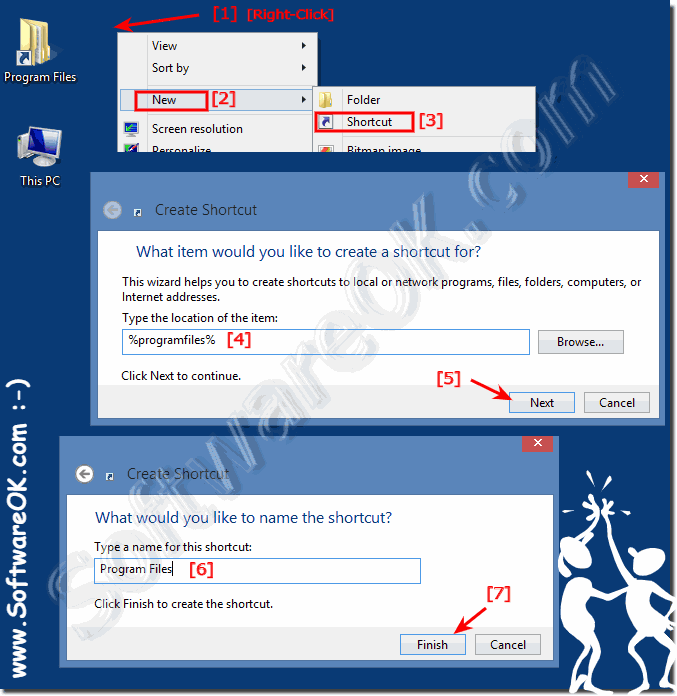 How to create shortcut to file history windows 8.1 run now? Win8.1 how to create shortcut of programs on desktop? All programs shortcut windows 8.1? How to get to program files windows 8? Windows 8.1 desktop shortcut program? Make shortcut to clear list on windows 8.1? Windows 8.1 install software on desktop how to create shortcut? Ere are program files in windows 8.1? Windows 8.1 how to make shortcut excel file? Desktop shortcuts in windows 89? Add program links to desktop in windows 8? I cannot create a desktop shortcut for a program file using windows 8.1? Windows 8.1 desktop quick links for files? Windows 8.1 desktop shortcut windows 8.1?